I just got back from Houston, Texas, where I spent a long weekend with my two brothers…always great fun. When I visit, they humor me by taking me to thrift stores and one day we hit three Goodwills! What was I looking for? Small art, quirky books, vintage pottery and ceramics, vintage games, authentic Hawaiian shirts, vintage textiles, quality scarves. What did I buy? 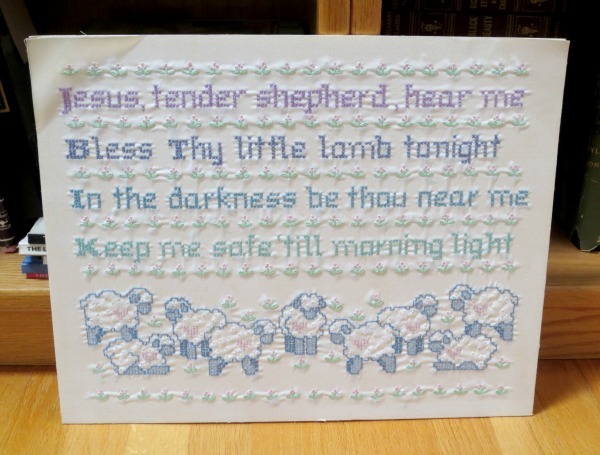 One framed embroidered piece for a nursery. I knew when I bought it I would leave the cheap metal frame and glass behind and just take the fabric. When I got it back to my brothers’ and took apart the frame I discovered they had glued the fabric to foam core. Who does that?? So now I’m going to have to soak it to see if can gently remove the foam and glue. Jeez. A lot of work for what will be a small profit. I also got a signed vintage book that, as it turns out, has some page stains I didn’t see when I bought it (nuts!) and a blank ledger for 59 cents that I will use for business expenses. Actually it’s really that I have the problem because I don’t know where the honey holes are in Houston! Obviously, the good stuff is NOT at the Goodwills in my brothers’ neck of the woods. 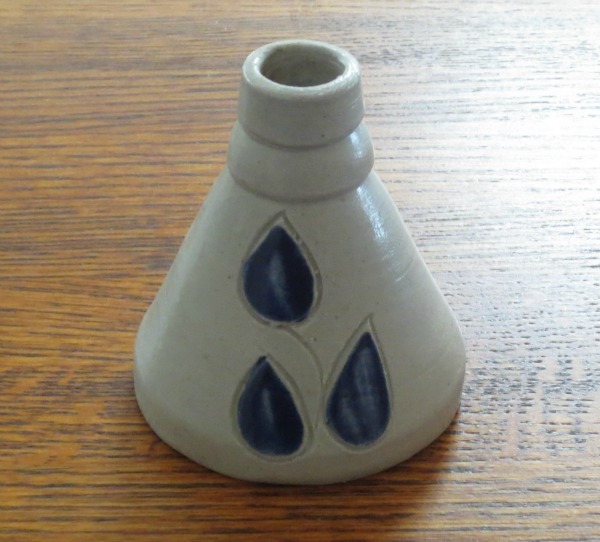 My only buy at StillGoode was a tiny ceramic salt-glazed inkwell/bud vase made by Williamsburg, VA, Pottery. Possibly circa 1970. Nice but certainly not a “wow” buy. Here’s hoping my U.S. readers have wonderful Thanksgiving on Thursday and, as always, happy hunting to all!